Our Premium Retractable Banners are a perfect display option for all images and graphics. The sophisticated and modern product will impress customers, clients and staff when marketing and advertising your products and business. This product includes printing and requires basic assembly. 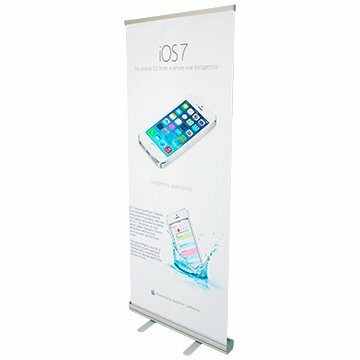 The Retractable Banners comes ready to use in your office, show room, retail store or any indoor environment. This Premium Retractable Banner is perfect for all images and graphics. The sophisticated and modern product will impress customers, clients and staff. This product includes printing and assembly and comes ready to use in your office, show room or any environment. it comes standard with the below options on hand.